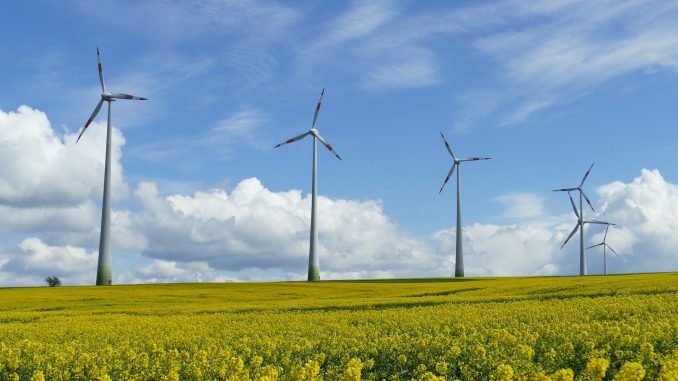 As #wind #energy is currently experiencing a real #boom in #Ukraine, several #US-based #institutions and #companies have announced their plans to finance construction of a large wind farm in #Zaporizhia Region. In particular, #OPIC, #General Electric, #Apollo Global Management LLC and #LongWing Energy SCA have shown their interest to invest in the project. On 14 December 2017, the Overseas Private Investment Corporation (OPIC) headquartered in Washington, D.C. approved granting a USD 150 million loan for financing along with up to USD 250 million in political risk insurance and reinsurance to support the construction of a large wind farm in Zaporizhia Region. The respective resolution was passed by the Board of Directors of OPIC. The project is developed by the Luxembourg-based company EuroCape New Energy. The total worth of the wind power project is EUR 466 million (USD 560 million). 62 wind turbines for construction of the wind farm will be supplied by General Electric. In addition, it will also ensure their further long-term maintenance. The installed capacity of the first stage of the wind farm will be 225 MW. In the future, installed capacity may be increased up to 500 MW. In addition, the project description states that Apollo Global Management LLC will provide mezzanine financing of EUR 200 million to support the project implementation. Furthermore, LongWing Energy SCA also plans its involvement in the project: it will provide investments of up to EUR 84 million (this amount might include investments of up to EUR 34 million from General Electric Company). In its turn, OPIC will provide a loan of up to USD 150 million to finance the project. In addition, the United States government’s development finance institution will insure the loan granted by Apollo along with interest for an amount of up to USD 250 million. The financing and political risk insurance provided by OPIC shall illustrate its effectiveness in supporting major infrastructure projects. The OPIC is a self-sustaining U.S. Government agency committed to helping American businesses invest in emerging market countries and gain footholds in new markets. OPIC achieves its goals by providing businesses with financing and political risk insurance along with the tools to manage the risks associated with foreign direct investment.